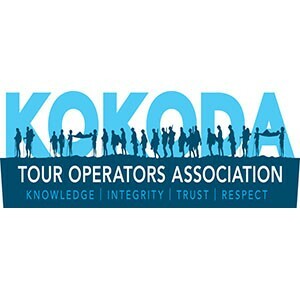 This was our first tour back on the track after our Anzac Day tour, and what a great trip and group this turned out to be. 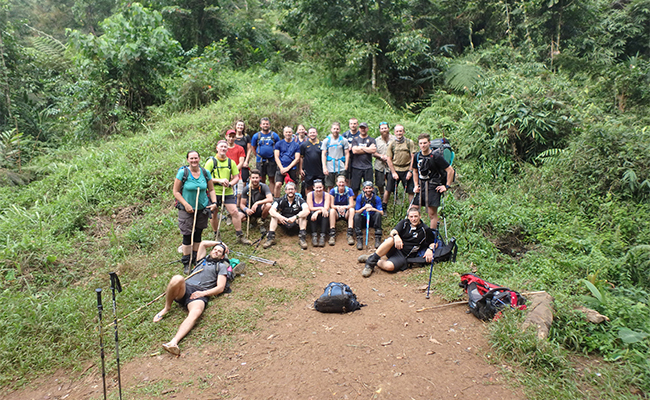 Being one of our larger groups for the year (in fact 2016’s largest for ETA) we set off on a 9 day Kokoda to Owers’ Corner trek. We arrived into Hoi on our first night to receive a trickle of rain, how miss leading this weather event would turn out to be. What lay in store for us was disclosed the next day on our trek up to Isurava battle site. Passing another guide I knew it was discovered that they where hit with what he said as” one of the heaviest down pours the evening before at Isurava battle site he had ever witnessed”. That heavy in fact, all of the tents were flattened and they sort refuge in the Porters huts to see the night out. Wow, I thought that sounded pretty full on, although I have seen heavy rain before during really wet and atrocious conditions, so how bad could this be! Over the next few hours the land creek crossings gave some insight being fast flowing and as deep as I had seen. This was followed by some smaller landslides gradually getting larger and larger as the day pressed on. Our excellent porter team safely ensured the group arrived safely at Isurava battle site mid afternoon. That night we introduced the Arnold Forrester story to the group, and held a candlelight vigil at the monument. Arnold’s Grandsons Brett and Evan had joined the tour as they retraced the steps of their grandfather, who was here some 74 years earlier. The next few days we where one of the first few groups to encounter the massive landslide between Surgeons rock and Alola, our expert porter team snapped into action and created a much safer detour through the landslide to that of the other group in front of us (I really can’t praise our boys enough here, excellent job!). 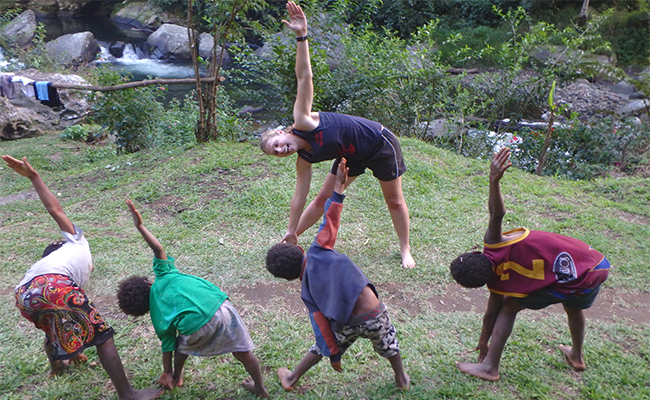 Kate managed to run a yoga class for the local village kids at Eora creek, I feel a few of us in the group should have been doing Yoga too. Dave managed to dry his wet socks over a camp fire (without burning them) that night displaying his bushman skills. T6 was able to evade much of the rain over the trip, however the cold was unavoidable. 1900 campsite was the coldest in my memory for any trip I had led through here and Gordon could verify how cold it was missing a few of the warm clothing items from the list he explained he hardly slept a wink (being a victorian high country lad he knows what cold his and is sure no wimp when it come to cold weather). T6 called into Menari School for morning tea and where treated to a real harmonic delight as the students put on a really good display of singing and dancing actions. T6 where so moved by the performance the group was the starting place for a solar power project with their generous donations. The group funded the purchase of 2 x 50W solar panels and a 40 amp hour battery. This combined with T10’s donation (from John and Zac) of an inverter and a regulator completed a solar set up (more to come in another newsletter article about this event). The team pushed on over the Owen Stanley range coming together each night sharing thoughts and memories together. Dave was awarded with the cabbage hat by the porters on the last night, with dave show casing this prized hat for some hours. Another T6 highlight was learning the words to the Bosso song by the last evening on the Track together.